Starting in September, the Campo Family YMCA will offer pickleball three days a week. 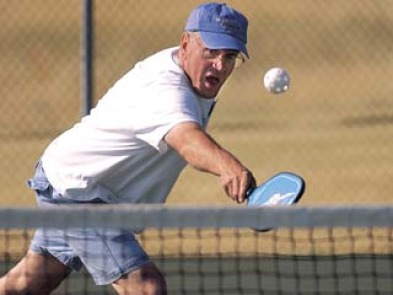 Residents can learn all of the nuances of playing pickleball from a Hillsborough County Parks, Recreation and Conservation Department coach during a free clinic Wednesday, Aug. 21 at 1 p.m. at the Campo Family YMCA, 3414 Culbreath Rd., Valrico. For more information, contact Campo Y's SilverSneakers coordinator Kavita Marballi at 813-684-1371, ext. 212 or kavita.marballi@tampaymca.org.